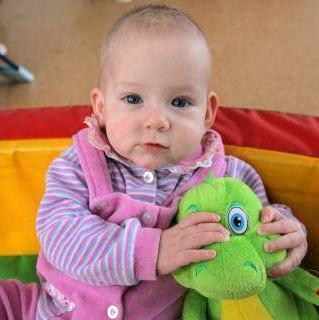 This little girl was born June 2011 to an HIV+ birthmother. The children in her region are monitored for 18 months before a diagnosis is given to the child, so we are unsure at this time if Paloma is positive or not. If she is not, she will most likely be adopted by a citizen of her country or by a foreign family who has been on the waiting list for a healthy child referral. If she ends up being + she will go on RR. She does not have any siblings. She was born early, but has not had any problems associated with premature birth. Her nannies say that she is a calm girl. Baby photo also available. Multiple unrelated children can be adopted simultaneously from her region and there are some adorable little boys waiting. Married couples and Single Mothers can adopt. No more than 6 children in the home. Applicants should be no more than 45 years older than the child. Three trips are required. Total program fees about $35K.